As the weather cools, my desire to actually cook is re-emerging. It’s nice. I feel healthier in the Fall & Winter as I tend to take more care in cooking. I made two recipes recently that I found on Pinterest. My love of Pinterest is well-documented. I even got my Mom hooked up to Pinterest last night. 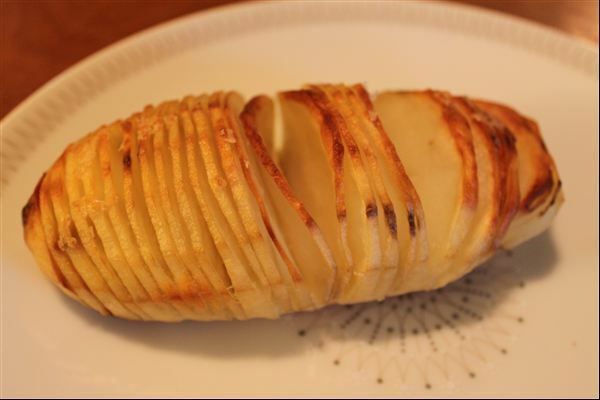 I made Hasselback potatoes a couple of weeks ago & they were so good! Took way longer to cook than the recipe said, but well worth the wait. I also made slow cooker beef stew for dinner tonight. Super simple recipe & so very good. 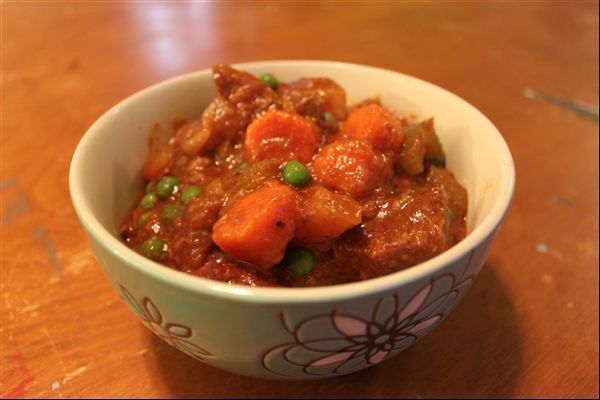 Beef stew is one of my favourites & this recipe did not disappoint. The wine added some lovely depth to the flavour. It meant opening a bottle of wine at 9 am, but never fear, I didn’t spend the day relaxing with a glass in hand. I am working on several changes to my blog, but thought I needed to keep posting despite my tech-savvy slowness.